Deanna and Sam’s Favourite Things…Day 4! We’re already at DAY 4!! It’s been so much fun sharing with all of you and hearing about some of your favourite traditions and treats for the holidays. Today, Deanna is sharing her Favourite DIY Christmas ornament that is kid friendly and easy even if you are not exactly “crafty” (I’m of course talking about myself). This time of year all my daughter wants to do is bake, bake, bake. I love baking too, but I don’t like feeding her sugar every day (and Mommy has trouble not eating all the goodies up until she feels sick) so this was a refreshing recipe to find. This recipe is a great way for your little people to get involved too! The kids get to roll the dough, cut the ornaments into their favourite Christmas themed shapes, bake and then decorate. And as an added bonus your home will smell amazing! I picked up some bags of glitter from the dollar store and I even got into it myself and made this pretty little angel! What are your favourite DIY Christmas crafts? We’d love to share them, so let us in on your crafty ways. We want to know if you are seeing these posts on your Facebook news feed. If you could take a moment to like, share or comment on our Facebook post and/or on this actual blog post that would be swell!! As a thank you we are going to pull a random winner at the end of our favorites week to win this basket of our favorite things including a wreath! Deanna and Sam’s Favourite Things…Day 2! Day 2 is all about Our Favourite Holiday Recipes! Oprah’s Pomegranate Martinis are a staple in our house on Christmas Eve. They are so delicious and I like to think they might be a little nutritious too! Shake ingredients in a shaker and put in chilled martini glasses. 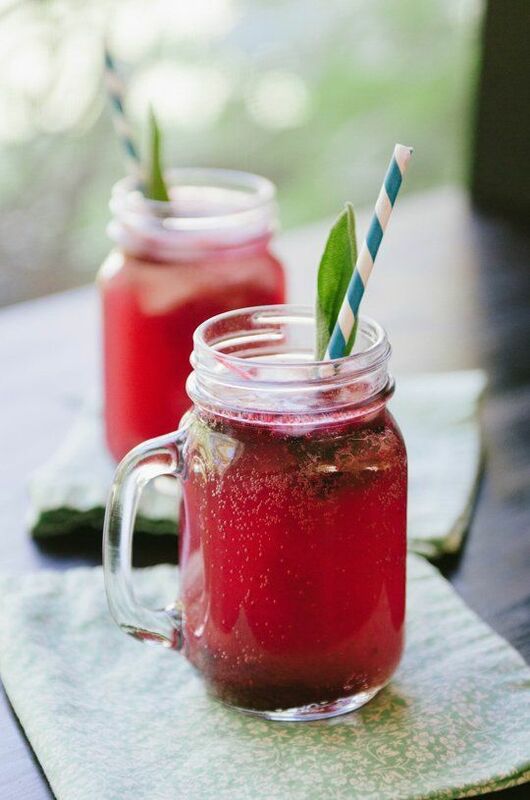 Put pomegranate fruit into glass as garnish. We love making this Monkey Bread or Cinnamon Breakfast Cake (as we like to call it). The house smells amazing as it bakes away and it’s a cinch to make. Mix dry ingredients in a bowl. Place the bread balls in a Bundt cake pan. Sprinkle the dry mixture over top. Then pour the melted butter on top. Cover with a cloth and let it sit over night. In the morning, place in the oven and bake at 350 for 20-25 minutes. Try to let it cool slightly before demolishing. What are some of your favourite recipes for the holidays? Yeah!! It’s time to start the CHRISTMAS POSTS!! We LOVE this time of year! It’s such a wonderful season to gather with family and friends and celebrate the holidays. One thing we can all agree on is that there is nothing quite like the joy of gift giving. But it can be expensive and it’s not always easy to come up with new and creative ideas. And as Deanna points out, “I like to have some emergency gifts on hand for those times when that neighbour that unexpectantly arrives at your door with a gift and you have nothing for them!” That’s where we come in. Here are a couple of suggestions for some pretty DIY gifts for you to brighten someone’s holiday! The first idea comes from Deanna, read about it below. To make hot chocolate, just fill a mug 1/3 – 1/2 with the mix, then fill the rest of the way with hot water and stir until dissolved. If you’ll be keeping a jar refilled like us, I made a recipe card sized printable you can download (just print if off and cut out the cards). This would be a great one-time gift in a smaller jar, but it’s also great as a gift that keeps on giving if you use a jar big enough to hold the whole batch and include a copy of the recipe card with it! Let your friends keep a steady supply too! You can attach a small bottle of Bailey’s to the mix, crush some candy canes on top or add some mini marshmallows. There are tons of ways to personalize this gift! Another fabulous (and ridiculously simple) idea is to make some hand and body scrub.We have both made these and they can be customized with different essential oils to personalize each scrub for the perfect gift! In a medium size bowl, combine the coconut oil, brown sugar, honey and mix well. Add the scrub to your 4 oz. Jelly jars. Makes 4-5 4 oz. Jelly jars. Lastly, a personalized photo gift is always appreciated and can be very simple or a little more elaborate. We have made beautiful Christmas cards with simple family photos and blown up pictures of our kids and placed them into nice frames for the grandparents. But, I think our most favourite and personalized photo gift we’ve made are photo books. Below, Sam explains how she makes her photo books. I like to use Blurb for our photo books. They have a ton of templates to choose from and you can reorder books anytime. These make great books for our parents and grandparents and they can even be made into stocking stuffers for the kiddos! You can find a link to the website below. Throughout the next month or so, we look forward to sharing some more gift, decorating and recipe ideas to help you make the most out of the holiday season. Do you have a DIY gift idea that you would like to share with us? We’d love to hear about it! Comment below, email us at deannacollins@royallepage.ca or samanthamackenzie@royallepage.ca or comment on Deanna’s Facebook Page at https://www.facebook.com/realtorD?ref=bookmarks. I would love to introduce Tiffany McFadden who I originally met as a new client, but now am fortunate to call one of my good friends. She is a Registered Dietitian with a great blog chock full of recipes I refer to time and time again. If you are not already, you should probably start following her Facebook and Blog. 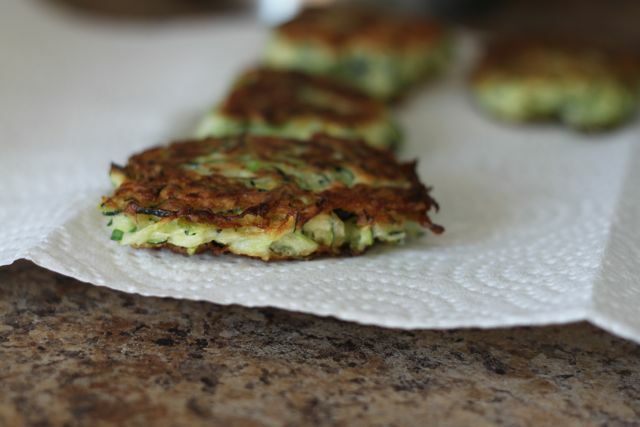 Check out Tiffany’s website and blog for more AMAZING and DELICIOUS recipe ideas! Blackberry Season is Almost Here! You can just see them starting to ripen on the tops of bushes all over town. Delicious, tart Blackberries. There are soooo many great ways to celebrate the flavour of these dark , rich berries. You will no doubt start to see many people out with ice cream buckets filled to the brim with these little guys. They’ll be made into jams, baked into yummy pies or frozen and used in winter to add some sweetness to our cozy dinners. 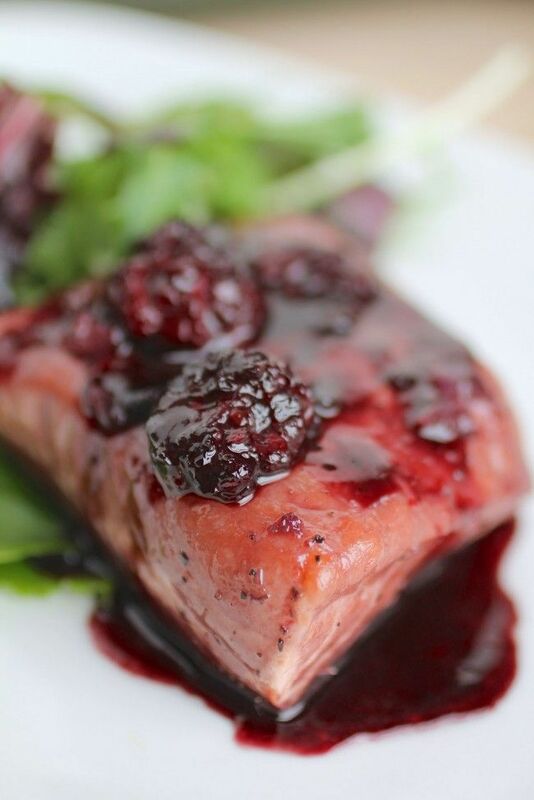 We love searching the web for cool, creative way to use blackberries in our everyday cooking. Here are a few recipes that we’ve found to tempt your taste buds! Comment below and tell us what you’re going to do with your buckets of berries.